Sheldon Richardson: The final piece for the Vikings' defense? 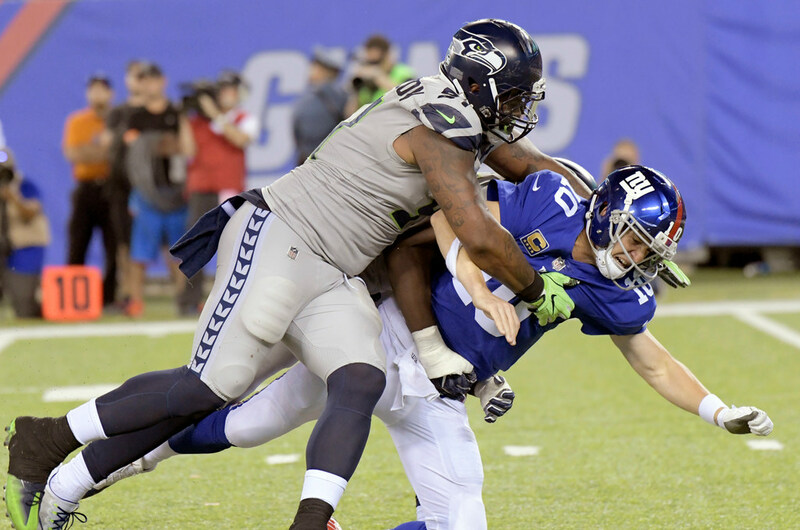 The Vikings announced Friday they signed defensive tackle Sheldon Richardson to a one-year contract, and at 4 p.m. they introduced him at a news conference at their Eagan headquarters. *Much like the signing of Kirk Cousins on Thursday, the Richardson move speaks to a team that believes it can take the next step after reaching the NFC title game a season ago — and players who are eager to latch onto that. *Richardson was chosen in the first round of the 2013 draft, No. 13 overall — 10 picks ahead of Sharrif Floyd, whom the Vikings took No. 23 overall. Richardson is essentially a replacement for Floyd, who has battled nerve damage in his leg after a promising start to his career. Floyd played just one game in 2016 and missed all of last season. He is now a free agent. *Richardson’s best season came in 2014, playing as a defensive end in the Jets’ 3-4 scheme. That year, Richardson had eight sacks and was the second-highest graded 3-4 defensive end in Pro Football Focus’ metrics. But even last year playing as a defensive tackle in the Seahawks’ scheme, Richardson showed he can still influence the passing game. Though he only had one sack, he was credited by PFF with 28 quarterback hurries in 2017 — tied for seventh-most among all interior linemen in the NFL. Geno Atkins — who was coached by Mike Zimmer with the Bengals before Zimmer joined the Vikings — had 50 last year for Cincinnati to lead interior linemen in hurries. Tom Johnson, the Vikings’ primary tackle next to Linval Joseph last year, had 20 hurries. *It’s clear the Vikings are loading up for 2018 while still saving resources for 2019 and beyond. The structure of Kirk Cousins’ three-year deal — with cap hits rising from $24 million to $29 million to $31 million over the length of it — was an indicator the Vikings had another significant move to make in free agency. Otherwise, it would have made sense to front-load the deal before having to pay other expensive extension-eligible players in 2019 and beyond. They clearly had to pay for Richardson, but the fact that it’s just for one year means he could end up just being a stopgap while a low-cost replacement is perhaps drafted in April and groomed to take over in 2019. In fact, Zimmer said that when Richardson stopped by his office during his free agent visit, Zimmer was studying 3-technique tackles available in this year’s draft.